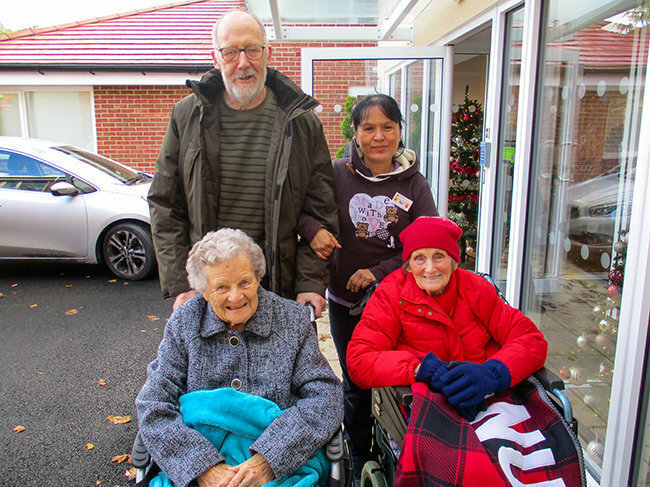 As the cold kicks in, residents at Four Acres residential care home in Archer Close, Studley, have wrapped up to enjoy some crisp, fresh, winter air, as they venture out into their local community for a regular change of scenery. 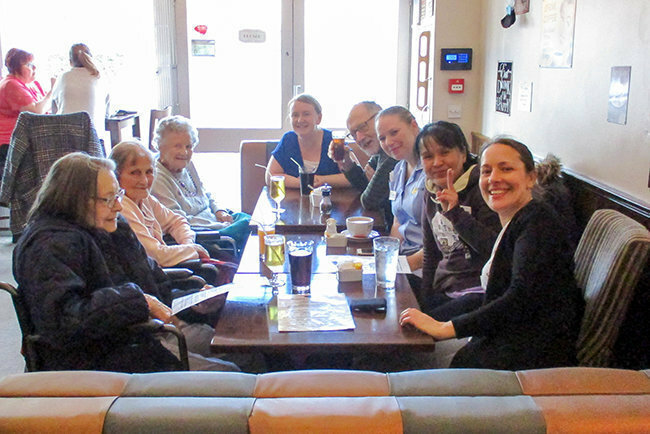 The local coffee shop for a spot of lunch and also a Christmas market were the destinations of the latest trips out for the Four Acres residents. Some hearty food in cosy surroundings were very much enjoyed by the sociable group. 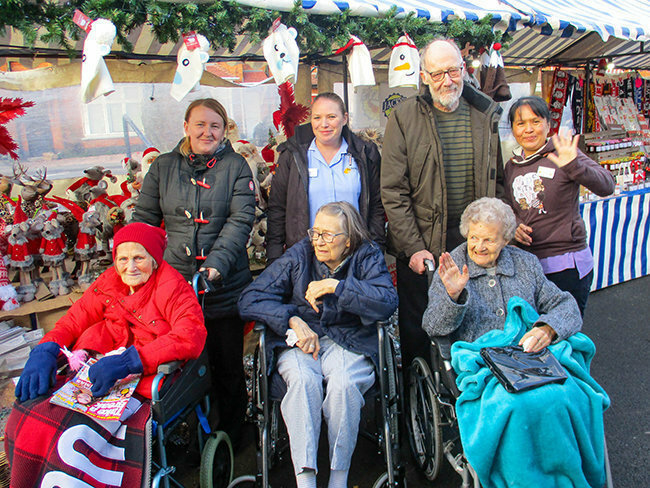 They also attended a Christmas Market in their local neighbourhood. Four Acres is a luxury residential care setting in Studley, close to Redditch, in Warwickshire. Four Acres has all the quintessential home comforts and a dedicated team of professional carers to cater to the health and wellbeing needs of our residents. 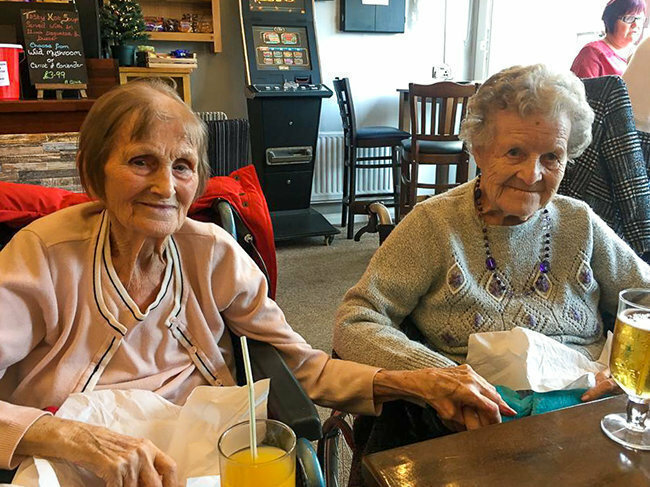 For more information, or to visit Four Acres care home in Studley, Warwickshire, please call 01527 850549, email four.acres@runwoodhomes.co.uk or visit the Four Acres web page by clicking here.